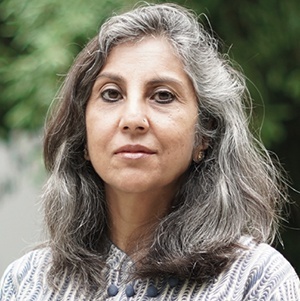 Shalini Advani is founding Director of Pathways School Noida, one of India’s most highly ranked IB schools. 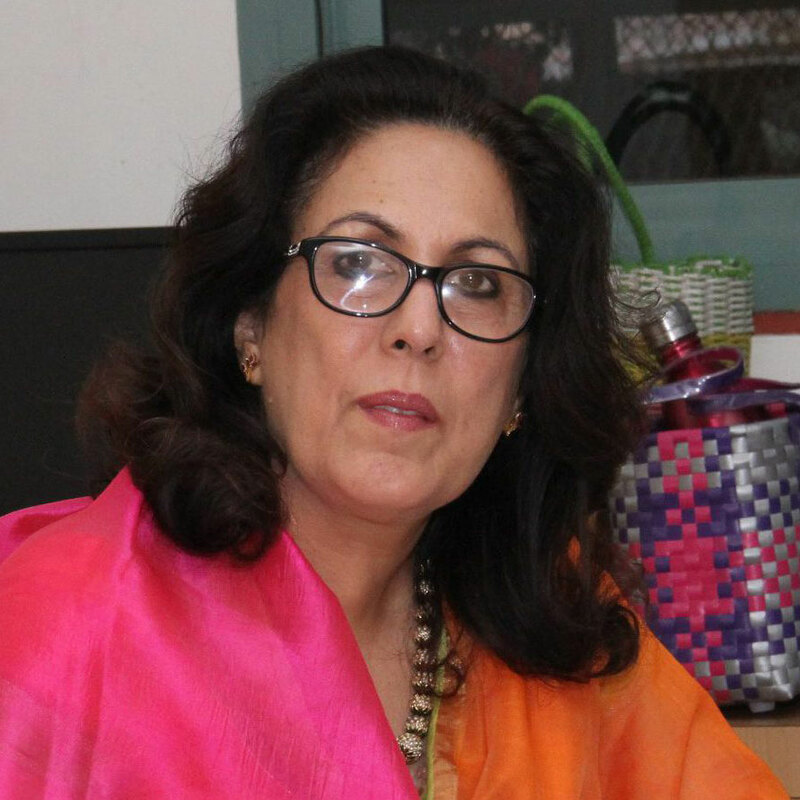 Previously she has been Principal of the British School, New Delhi and Director Education of Learn Today. She has advised on the setup of new schools and conducted multiple teacher trainings. She has been a presenter at the Salzburg Global Seminar, the IB Asia Pacific Conference, the IC3 Conference on Career Counselling and the EdTech Review. 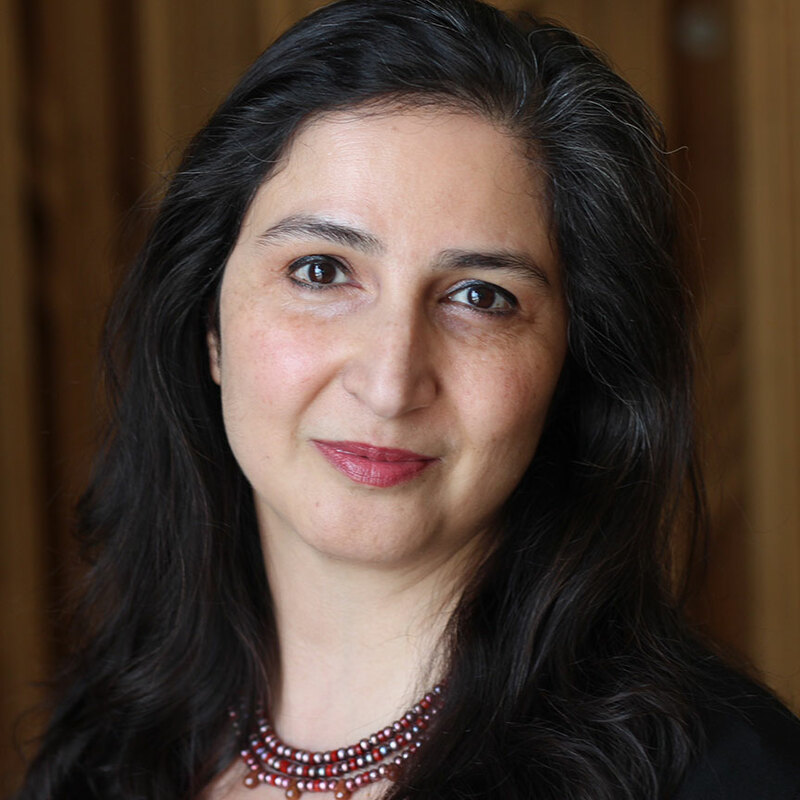 Her publications include "Growing Up in the Nuclear Shadow," "Educating the National Imagination" and the essay "Childhood Sexuality: History, Memory, Mythology." Dr. Harsha Alles is the Chairman of the Gateway Group of Schools, in Sri Lanka. 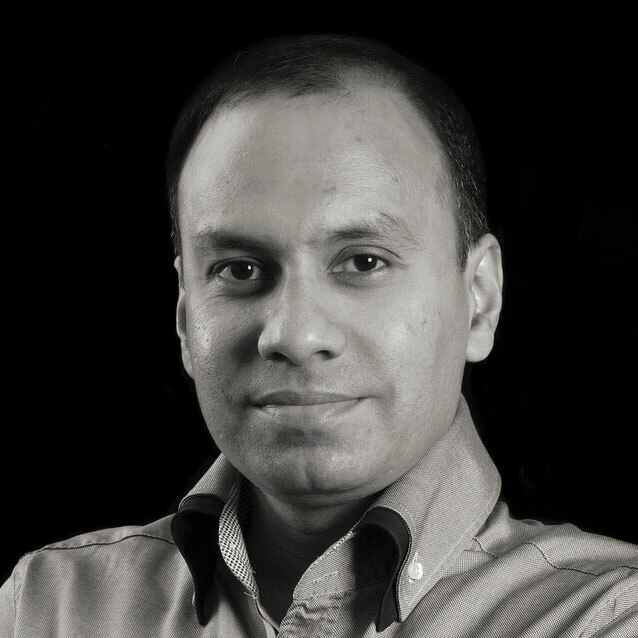 He is a Medical Doctor by profession and holds a PhD from the University of Colombo. He was a lecturer attached to the Medical Faculty of the University of Colombo prior to joining his father to assist in the Gateway Group. He has won two Young Scientists Scholarship awards and a Presidential Award for Research. In 2000, he was recognized as The Outstanding Young Person of the Year for the contribution he made towards IT education of children. In 2003 he was adjudged the Gold Winner of the CIMA Pinnacle awards to be the Outstanding Businessman of the Year. Dr. Alles is the Past Chairman of The International Schools of Sri Lanka (TISSL), which is an umbrella organization consisting of the leading international schools in Sri Lanka. Under his leadership, the association undertook innovative initiatives such as the Annual International Conference for Heads of Schools and the first International Training Seminar for Heads of Schools held at the University of Nottingham, in Malaysia. Capt. 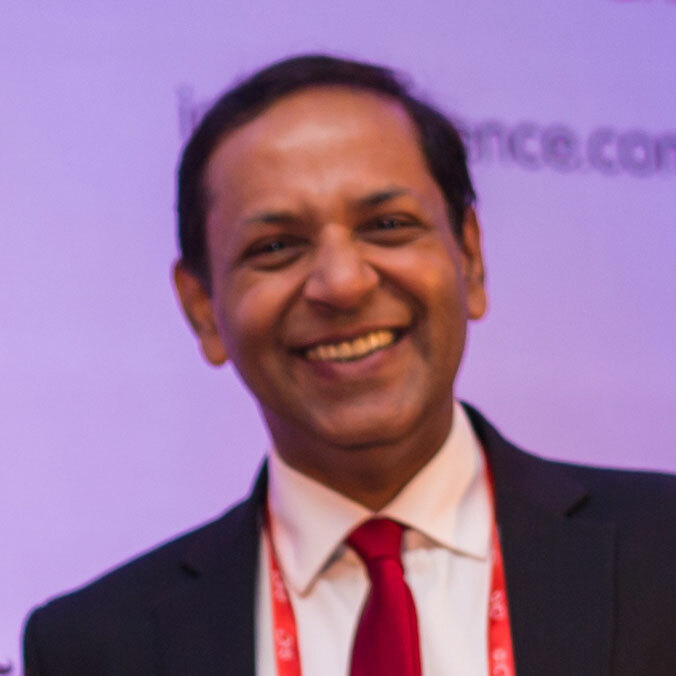 Rohit Sen Bajaj is a seasoned and passionate educator, dynamic communicator, effective administrator and a self-motivated individual, with a career spanning over 25 years. As a natural leader, Capt. Bajaj’s vision is to impart holistic education and create a powerful impact on today’s generation. Having served in the Indian Army for five years, Capt. Bajaj has an impeccable sense of commitment, duty and responsibility. He holds a Bachelor’s degree in Chemistry and Education, Master’s in History and more. In the field of education, he has worked at the Lawrence School Sanawar and Oakridge in Hyderabad. Institute of International Education (IIE), U.S.
Rajika Bhandari, Ph.D., is the Head of Research, Policy and Practice at the Institute of International Education (IIE) where she provides strategic oversight of research, evaluation, and thought leadership activities and leads the Open Doors and Project Atlas projects on international higher education mobility. 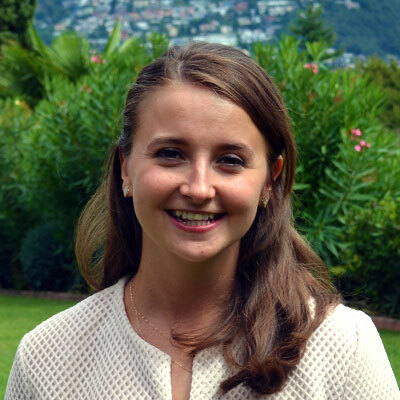 She also provides guidance to IIE's work in India through its office in New Delhi. 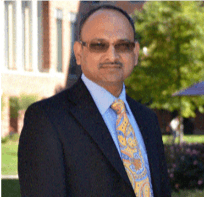 Dr. Bhandari is a frequent speaker and widely published author on global student mobility with five books on the subject, including one on educational exchanges between the U.S. and India. She holds a doctoral degree in Psychology from North Carolina State University in the U.S. and a B.A. (Honors) in Psychology from Indraprastha College, University of Delhi, India. Mr. Santanu Das has been a friend and facilitator to his students for over three decades. Before joining Sarala Birla Academy as the Principal in 2009, he headed the Assam Rifles Public School, Shillong and the Aditya Birla Public School, Renusagar. He did his schooling from St. Joseph's Academy, Dehradun, has a Master's in Physics and a Diploma in German from the Visva Bharati University, Santiniketan, a Bachelor's in Education from the Annamalai University and a Master's in Business Administration from the Symbiosis University, Pune. He has attended courses at the IIM - Kozhikode, PTC - London, The Haas School of Business, University of California - Berkeley and the Harvard Graduate School of Education. He has the experience of both Boarding and Day schools and has the experience of working with the Central Board of Secondary Education (CBSE), Council of Indian School Certificate Education (CISCE), International Baccalaureate Organisation (IBO) and the Cambridge International Examinations (CIE). 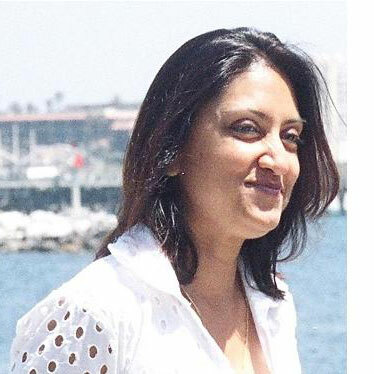 Vinnie Jauhari works as Director, Education Advocacy at Microsoft Corporation India Ltd. She is responsible for evangelizing education initiatives at Microsoft. She leads and manages strategic engagements in higher education and K-12, and also works on policy issues related with education. She works on programs leading to capacity development for teachers through initiatives in pedagogical innovation. She has authored twelve books published from New York, Toronto, and Springer, Germany in the domain of services, innovation and technology management. She has published over 100 research papers in national and international journals. Karthik grew up in a home (both his parents were educators) that was a center of knowledge and transformation. From his parents he developed early on a love for learning, and happiness in enabling and seeing people succeed. He firmly believes in the transformative power of education and the need to transform education globally to meet the needs of the new world. 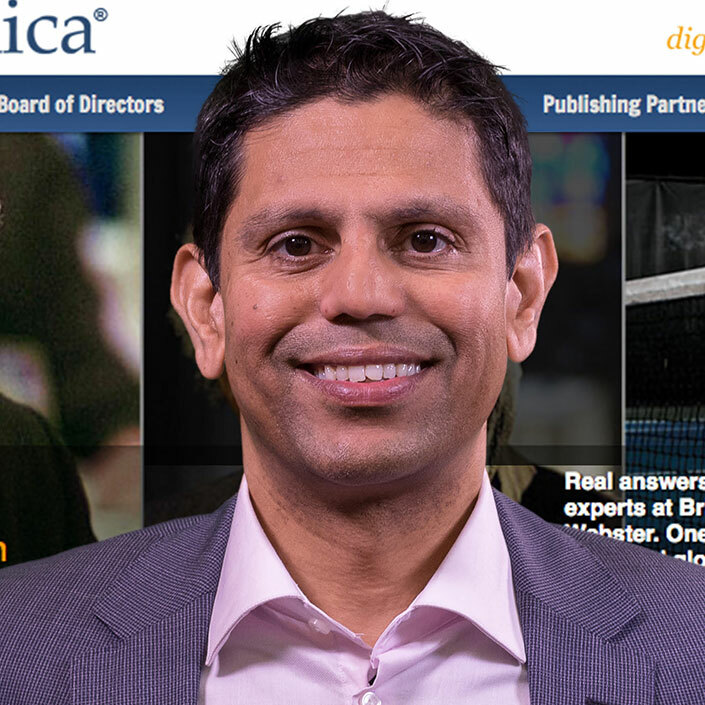 He is currently the Global CEO of Britannica Group of companies (Britannica, Merriam-Webster, Britannica Knowledge Systems, and Melingo) and an adjunct Professor at New York University — Stern Business School. He serves on the board of Urban Upbound, an organization focused on transforming the lives of people in public housing in New York City through job training, financial fitness, and college access programs. He has been involved in a number of transformative initiatives including Doubling India’s agricultural production, Transforming Harlem (New York City) into a vibrant business community and tourist destination, and Establishing New York University (Stern Business School) as the pioneer and top destination for Entertainment, Media and Technology specialization. 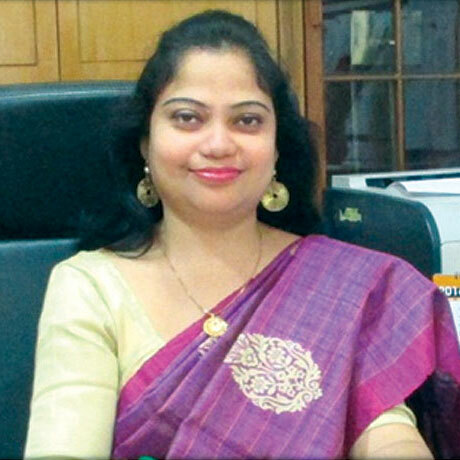 Principal of La Martiniere for Girls, Kolkata, which is an internationally renowned school, she is a post-graduate of Calcutta University with a Management Diploma in Administration. An educationist, teacher trainer and motivational speaker for the last 25 years. 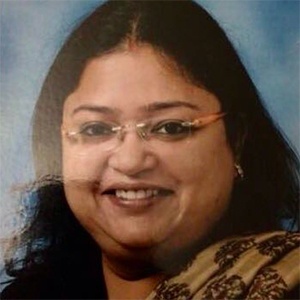 Ms. Manika Sharma has completed over thirty years in the field of education. Post her graduation in Political Science in Delhi University, she completed a two-year Montessori and primary teacher training course in 1982 and a two-year diploma in the French language, then went on to complete her Master’s in Education. Ms. Sharma joined The Shri Ram School in 1989. Presently, she is the Director of the Shri Ram Schools and under her able leadership, the school has been consistently ranked #1 in the country. TSRS boasts of high academic results and varied extracurricular achievements. She has spent years on training to empower and equip herself with the new global techniques in education and administration. Mrs. Sharma has also been a teacher trainer for schools across the country. Mrs. Lata Vaidyanathan is a veteran educationist who stands dedicated and committed to the promotion of child-centered education. During her illustrious career of more than three and a half decades, she was the Principal of Bhartiya Vidya Bhawan’s school at Chandigarh, the founder Principal of Eicher School at Parwanoo and the Principal of Modern School Barakhamba Road, New Delhi for the last 14 years. 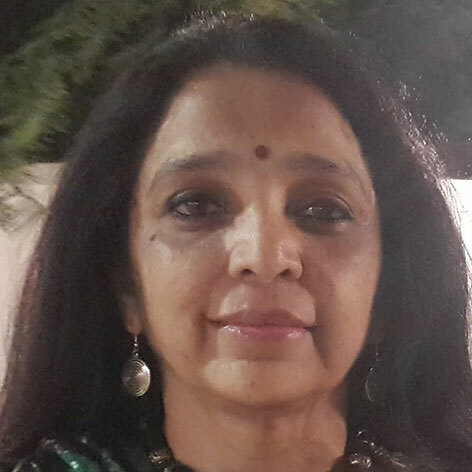 Currently she is the director of TERI Prakriti School since October 2014. 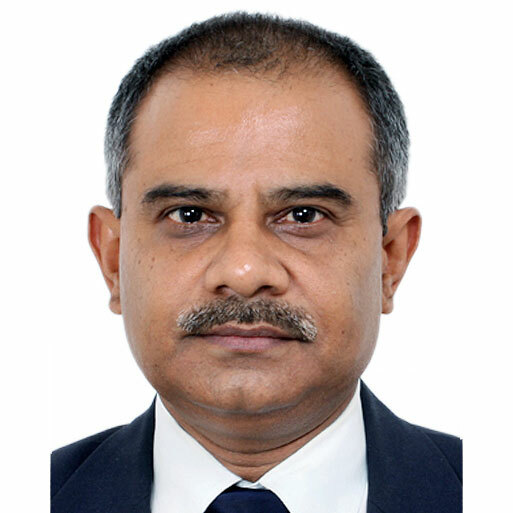 Dr. Harsha Alles is the Chairman of the Gateway Group of Schools, in Sri Lanka. Lisa Jain essays the role of Market Manager – India at the College Board. In her role, she works closely with 200+ secondary schools across the country, to support understanding and implementation of the College Board's programs such as SAT, PSAT and Advanced Placement. She has interacted with and presented to thousands of students and parents, helping them better understand the journey of transition from secondary school to college preparedness. Lisa Jain graduated with a First Class Honors in BSc. Industrial Economics from the University of Warwick, United Kingdom, and also holds an M.B.A. from the Indian School of Business, Hyderabad. 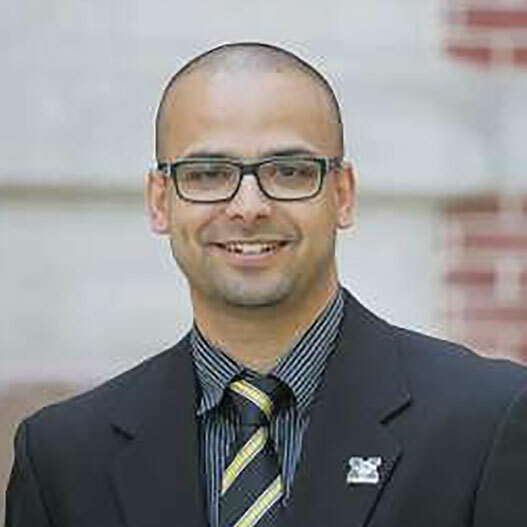 Ragh Singh is the Program Manager Strategic Global Initiatives for South Asia at Northern Arizona University. As someone who started as an International student, Ragh engages with prospective international students and higher education institutions from the South Asia region to build partnerships and share with them the value of U.S. higher education. 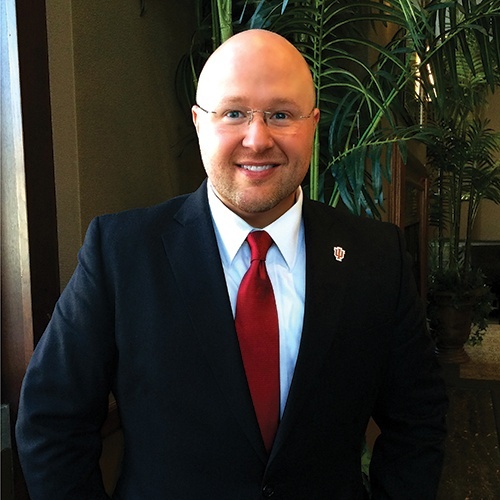 In his past experiences, he has worked as an Assistant Director of International Recruitment at the University of Missouri and an Academic and Career Adviser with the Department of Parks, Recreation and Sport at the University of Missouri, as well as an Academic Adviser and Adjunct Faculty at State Fair Community College. Khushboo Bedi is the Coordinator of the Career Counseling Cell at The Sanskaar Valley School, Bhopal. She pursued her MBA at San Diego State University, U.S. and worked for two years in the U.S. as a business analyst. Ms. Bedi also worked for seven years with DB Corp. Ltd. as a project coordinator of the “Dainik Bhaskar School of Media Education,” a learning and development wing of Bhaskar. She has vast experience spearheading many projects, corporate trainings and events. In the last year and half, Ms. Bedi has spread her wings into counseling students for different national and international career options, along with all the career events and workshops in The Sanskaar Valley School. Christopher Coupland is Director of International Enrolment at Queen's University, Canada. He has over 15 years’ experience working in post-secondary education. 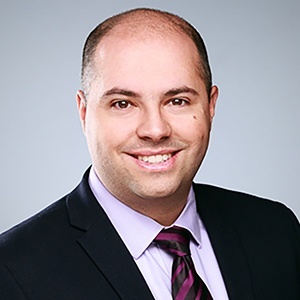 Upon graduating from McMaster University, Christopher began his career working in university administration first at McMaster University and then moving to Queen’s University where he took on roles in student mobility, financial aid, donor relations, and undergraduate enrolment. In all of these activities he is committed to the values of Canadian post-secondary education and supporting students as they work toward realizing their personal educational goals. Lisa Cowan is the Director - International at Bond University, Australia’s first private, non-profit University. In this role she leads the international strategy for Bond’s student recruitment and marketing, global partnerships and student mobility. 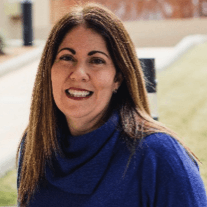 Prior to her role at Bond, Lisa held several leadership roles at James Cook University, providing direction across domestic and international schools engagement and student recruitment, international student support, compliance, study abroad and exchange and international admissions. Lisa is a member of the Australian Universities International Directors Forum (AUIDF), NAFSA: Association of International Educators, EAIE: European Association for International Education and the Global Leadership League for women in international education. Noah Dvorak is the International Baccalaureate Diploma Coordinator at the International School Dhaka in Bangladesh. Previously, he served in teaching and leadership roles at international schools in China and Brazil. As an IB educator, he has worked in and out of the classroom to support the learning and well-being of students from over 100 countries and diverse socioeconomic backgrounds. After participating in a study abroad program as an undergraduate, he studied law and later earned an M.A. in Educational Leadership. He is a licensed teacher and administrator with professional certificates in leadership practice from the IB and in college counseling from the University of California, San Diego. Bridget Herrera is in her second year as College/High School Counselor at the American International School of Dhaka, Bangladesh. Prior to this, she worked for over twenty-five years as a college counselor in Latin America. 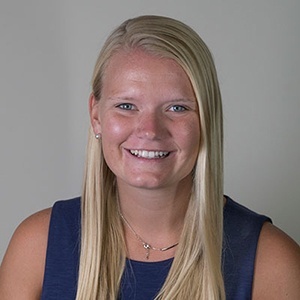 Bridget's volunteer experience includes: President of InternationalACAC (2010); Chair of NACAC's Inclusion and Access Committee (2007-2009); TOEFL Board Member (2014-2016); member of the Common Application's Advisory Outreach Group (2010-2013); and Counselor Liaison for the CIS Latin America Committee (2000-2009). 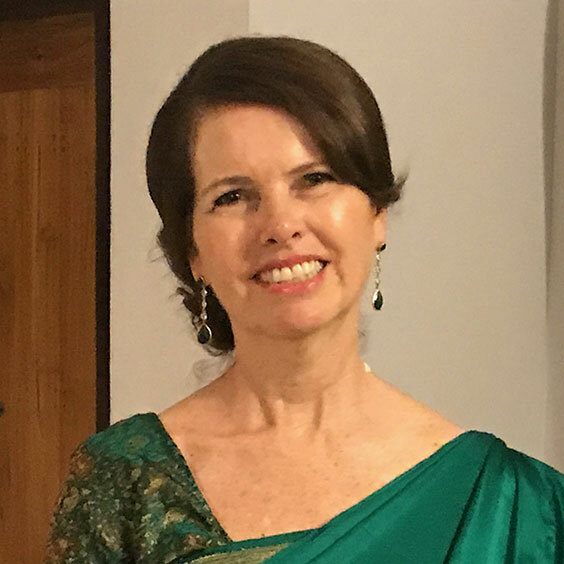 She currently serves on the International ACAC Governance and Nominating Committee and is working to create a vibrant college counseling network in Dhaka. Mrs. Geeta Jayanth is the Vice Principal of Legacy International School and has over 20 years of administrative and teaching experience in national and international education. 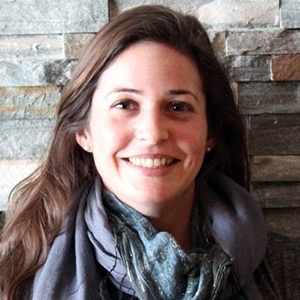 She has been a workshop leader for Global Perspective and is an IBDP examiner. She is also a Team Member for CIS/NEASC School Accreditation and has visited many International schools in India and overseas for school accreditation. She has over 7 years of experience as a guidance counselor and has been invited to top universities in the U.S., U.K., Canada, Japan, Australia and Europe. She was nominated for the Counselor of the Year award at the IC3 Conference in August 2017. She has been an active member of the IC3 Planning Committee. 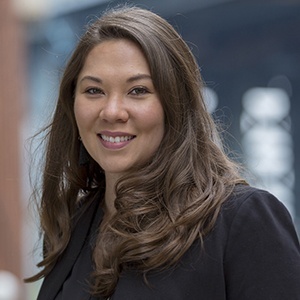 Jamie Kanki currently serves as Head of Student Engagement and Partnerships at Concourse Global, where she works with high school counselors and university representatives to find the right educational programs for the next generation of graduating high school students. 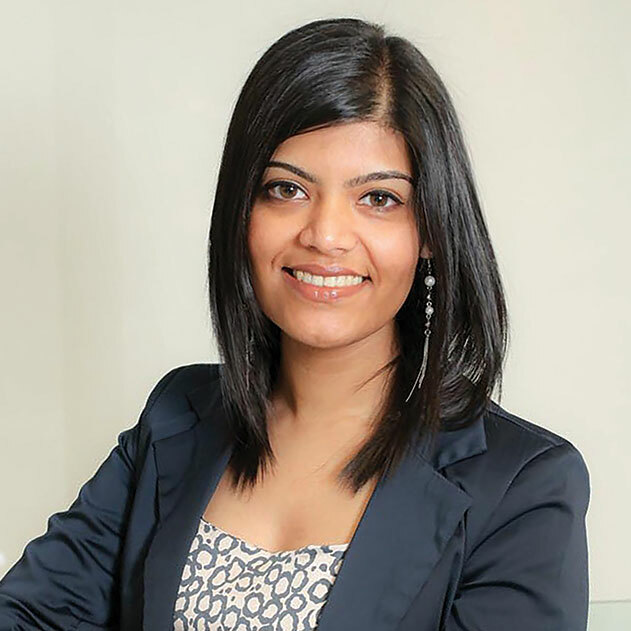 Prior to Concourse, she led the Graduate Marketing and Recruitment team at New York University's Tandon School of Engineering. She has worked with international students (from high school to graduate school) for more than ten years. Prior to NYU, she was Associate Director of International Admissions for the University of Bridgeport, and Senior Enrollment and Recruitment Manager for the University of Missouri-Kansas City. She currently serves on the International ACAC Inclusion, Access, and Success Committee and is a GEM Award Recipient. Kanchi is an experienced outreach director with a demonstrated history of working in the higher education industry. A strong community and social services professional with a Master of Business Administration (M.B.A.) focused in Business Sustainability from TERI University, she is skilled in Sustainable Development, Marketing, Market Research, Event Management and Corporate Communications. She is currently the Director Communications and Outreach at Krea University, an upcoming Liberal Arts and Sciences university north of Chennai. With over seven years of professional experience working in higher education, she continuously contributes to the development of the university’s international strategy which focuses on student mobility and recruitment of international students. During her career, she has had extensive travelling experience developing international outreach initiatives. 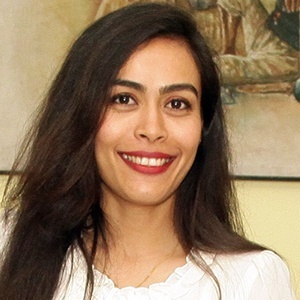 Her global experience includes knowledge in: Canada; United States of America; the United Kingdom; Northern Europe; the Middle East and North Africa and highlighted experience in South Asia. Alisha is passionate about education and dedicated to helping students succeed in finding the best fit for their future educational and career goals. 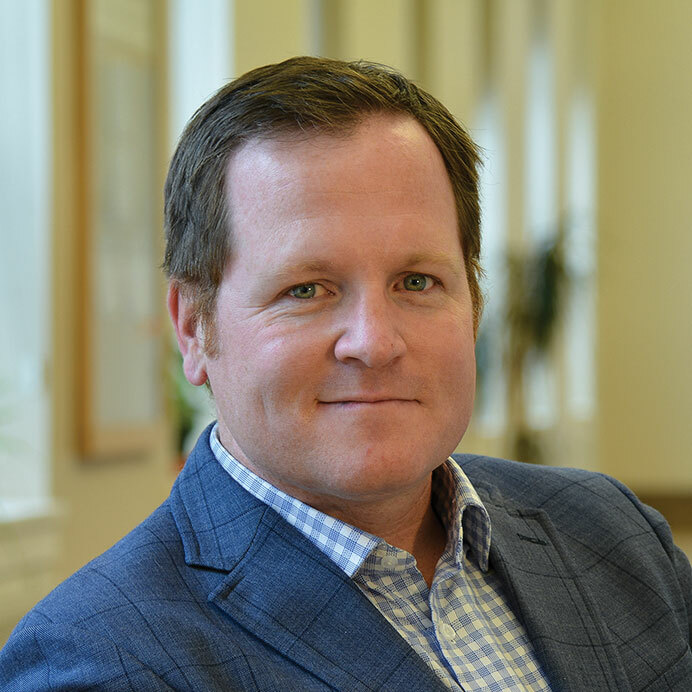 Jim McLaughlin is the associate director of freshman admissions at Drexel University. Following undergraduate study, Jim accepted a position at Chestnut Hill College, where he later earned his M.S. in administration of human services with a focus on international student enrollment. There he served as director of international student services and principal designated school official. 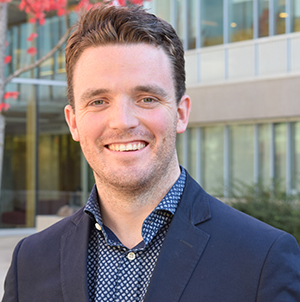 Since joining Drexel University in 2012, Jim has furthered his commitment to international education and has represented Drexel in more than 20 countries. Jim has nearly 14 years of experience in higher education and currently serves as Chair of the University Committee for the Annual IC3 Conference. Sheena’s roots originate from India but she was born in Manchester in the U.K. Having been intrigued by the melodious, song-like intonation of the Spanish language, she followed her interest and went on to read her degree in Business and Spanish. It was her Erasmus year that took her to Madrid and it didn’t take long for her to fall in love with all the country has to offer. On completion of her undergraduate studies in Leeds, Sheena moved her life over to Madrid and began working at IE University in 2009. She spent four years based on the Madrid campus at IE University as Associate Director. She is now Director of IE´s international office in London, leading recruitment for undergraduate and postgraduate studies in the region. 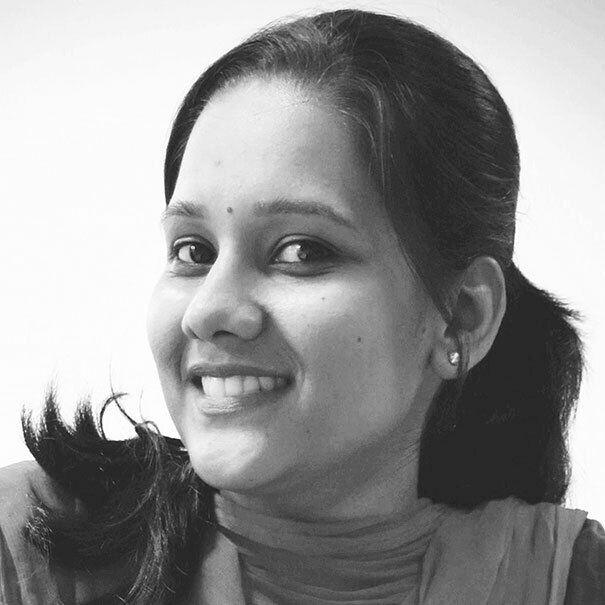 Praseeja Nambiar currently serves as the Career and Guidance Counselor in Stonehill International School, Bangalore. For the past three years, she has counseled students for higher education in India and abroad along with teaching experience of over 5 years. Her strength lies in establishing strong relationships with universities in India and abroad along with depth of understanding pertaining to college counseling software. 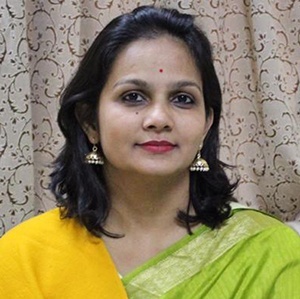 She has been able to develop, structure and streamline career counseling department activities in her school apart from helping students in their entrepreneurial startups. Her goal to implement strong career education framework through middle school is taking good shape. John Nesbitt is the Strategic Engagement Manager for the Duolingo English Test at Duolingo. Prior to joining the ed tech start-up space, he co-chaired International Admissions at Vanderbilt University, helping them grow from 5 percent to 13 percent and triple in applications. During his 12 years at Vanderbilt, he traveled extensively in East Asia, Europe, South Asia, Southeast Asia, China, the Middle East and South America. For the last six years, John also served and volunteered on the Council of International School (CIS), where he led recruitment tours in Northern Europe, Turkey, Eurasia and the Middle East. He has a Bachelor’s and Master’s degree from Vanderbilt University. Petra was born and raised in Bratislava, Slovakia, but moved with her family to Florida and attended high school in the U.S. She is the Senior Associate Director of Admissions at Franklin University Switzerland. Her role at Franklin University Switzerland involves representing her university across the world and working with students as they make one of their most important decisions. She has completed her majors in International Relations and minors in Economics and History from the Franklin University Switzerland. 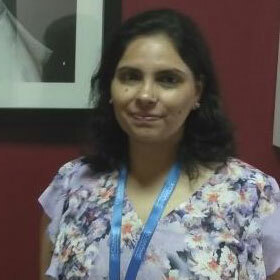 Shivangi Panchal is the School Counselor at Ahmedabad International School, along with being the Executive Director of Administration as well as the IBDP Coordinator. Shivangi was involved in setting up the school from the inception stage, and as counselor, has placed students in several universities across the world, including most of the Ivy League schools. She also serves as the AP, PSAT and SAT Coordinator at the school. Shivangi has a B.Com, LLB and a Master's in Music. 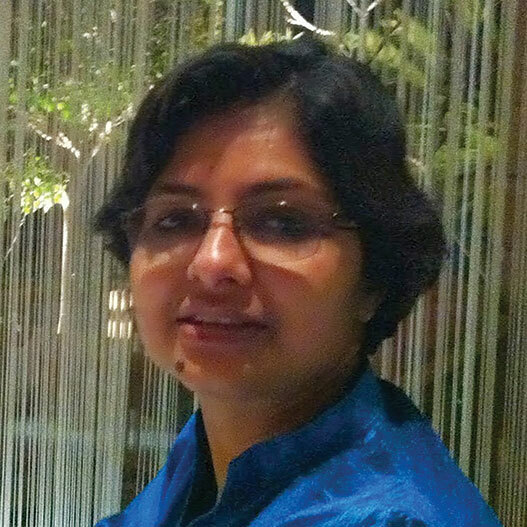 Mrs. Sanjukta Poddar has worked for more than 15 years in the fields of education and career counseling. She has working as a high school counselor, serving as Career Counsellor at Calcutta International School, Kolkata for the past 5 years. She also spent eight years with an education consultancy prior to joining the school. Mrs. Poddar has a passion to work with high school students and young adults to help them find both their best fit in post-secondary education and develop a career direction. 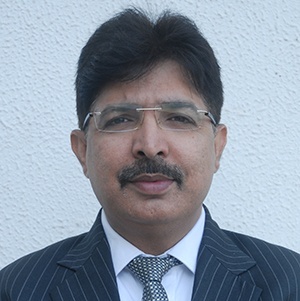 Principal Surender Sachdeva, a competent administrator with two decades of experience, began his career with Delhi Public School (DPS) Vasantkunj and rapidly progressed to be the principal of DPS Indore in 2005. Additionally, he toured Australia to gain insight into the educational policies of New South Wales. A postgraduate in Mathematics and an MBA in Educational Administration, Mr. Sachdeva is an advisor for NCERT textbooks. Donning the hats of the Chief Nodal Officer for CBSE examinations and Chairman of the Sahodaya school complex, he is the recipient of the “Leadership and Governance Award” for two consecutive years from the Kalorex Education Trust and has led DPS Bopal to the No. 1 position in the state of Gujarat. 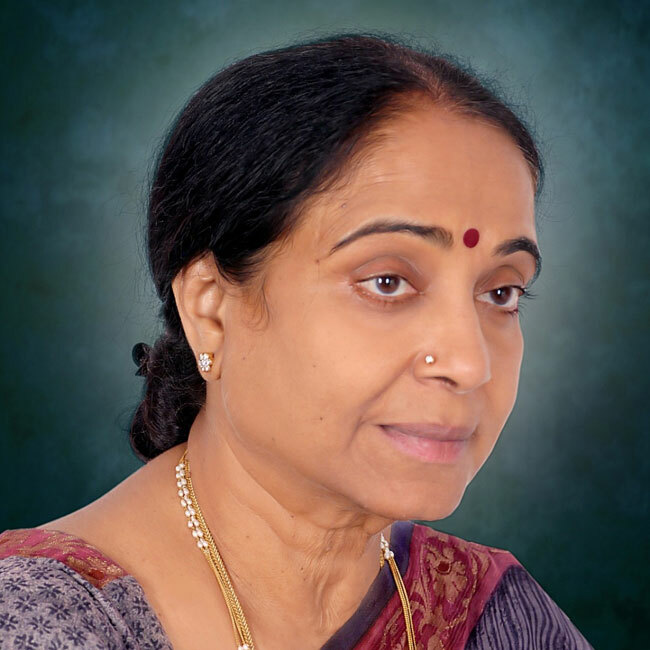 Sudarshana has been a faculty member of the Cathedral and John Connon School, Mumbai since 2002. As a full time Career Guidance Counselor since 2004, she has guided students with their overseas applications to the United States of America, Canada, the United Kingdom, Singapore, Australia and Hong Kong, along with Universities within India. Her school offers the Advanced Placement program, of which she is the coordinator. They also offer the Indian School Certificate Examinations (National Board) along with the IBDP. Their first batch of IBDP students will graduate in 2017. As Head of Learning Resource Centre of her school and SSD coordinator, Sudarshana supports students with different abilities to achieve their potential. 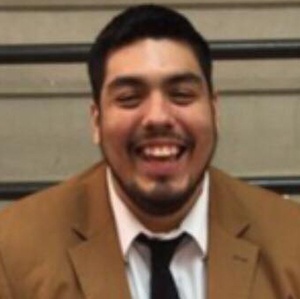 Fred Silva is manager of strategic recruitment at Northwestern University in Qatar. He began his career in international student services and admissions at the University of Northern Iowa before joining Kettering University as assistant director of international admissions and, later, Furman University as assistant director of admissions and coordinator of international admission. 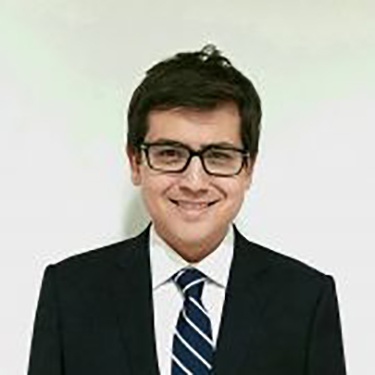 Most recently, Silva worked at King Abdullah University of Science and Technology where he served as acting manager, recruiting undergraduate and graduate students to various sponsored programs. Amrita is currently working as an Academic Counselor for the International Baccalaureate Diploma Program at Ullens School, Kathmandu, Nepal. 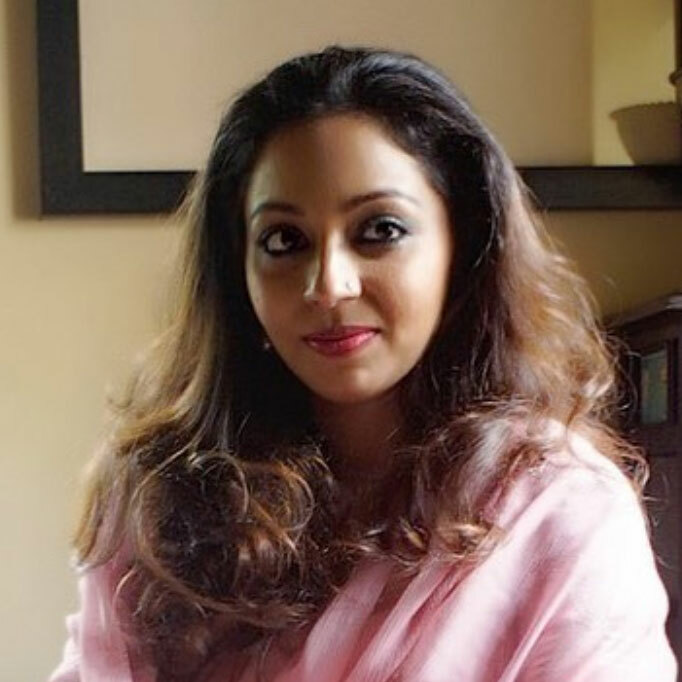 She holds MA (English) from Delhi University and also has a Post Graduate Diploma in Counseling Psychology from Tri-Chandra College, Kathmandu, Nepal. She has been serving in the education field as an English/Business Communication Teacher for high school and undergraduate students for 9+ years and as an Academic Counselor for four years. Currently in the role of Associate Director, International Market Development at Brock University, Victoria began her career in international education over 13 years ago while developing joint-programming opportunities between China and Australia and working at Fudan University. After living and working in China for 7 years, Victoria returned to her home of Niagara, Ontario, Canada and began working in the Goodman School of Business at Brock University directly supporting international students enrolled in graduate business programs while teaching in pre-MBA and MSc Management programs. With both an Undergraduate (University of Victoria) and a Graduate degree (McMaster University) focused on global socio-economics and mobility, transitioning into international student recruitment was an ideal fit. Victoria is extremely proud of the growth Brock has achieved not only as a top destination for international students in Canada, but as a institution that is imbedded in the local community and truly represents a sense of belonging not only for students, but faculty and staff alike. Teji Varghese is the Academic Guidance Counsellor on Jamnabai Narsee Campus, Mumbai, India for all the Senior Secondary students across the curricula. With 15 years of experience in the education field, Teji has passion to work with the middle year and higher secondary school students to guide them for the future pathways of the students post 10 and post 12 – India and overseas. Passion and commitment to show the youth their right pathway keeping the aptitude and attitude of the students as well as the heart desire of the parents are her two main qualities. An experienced Senior International Education & Career Guidance Professional with over 11 years of experience. Ankur Vohra is currently working as Deputy Director- Admissions & Outreach with O.P. Jindal Global University- Delhi-NCR, India. Having worked and travelled to over 35 Countries around the globe. Ankur has got rich and niche experience in how people & networks work across different nationalities and what are the key ingredients that go into the making of a good career choices for young adults. Public Speaker, Writer and a Prolific Reader, he has conducted life & career guidance workshops across 300+ schools in over 35 countries. Ankur, was instrumental in setting up International outreach vertical at Ashoka University, Delhi-NCR, India and opening doors of Higher Education for numerous High achieving but low Income students from Africa & South Asia. He was also the Chair for Scholarships and Co- Chair for Faculty & Curriculum Design for International ACAC South Asia Regional Institute which was held at Neerja Modi School in Jaipur from 19th-21st Oct’2018. 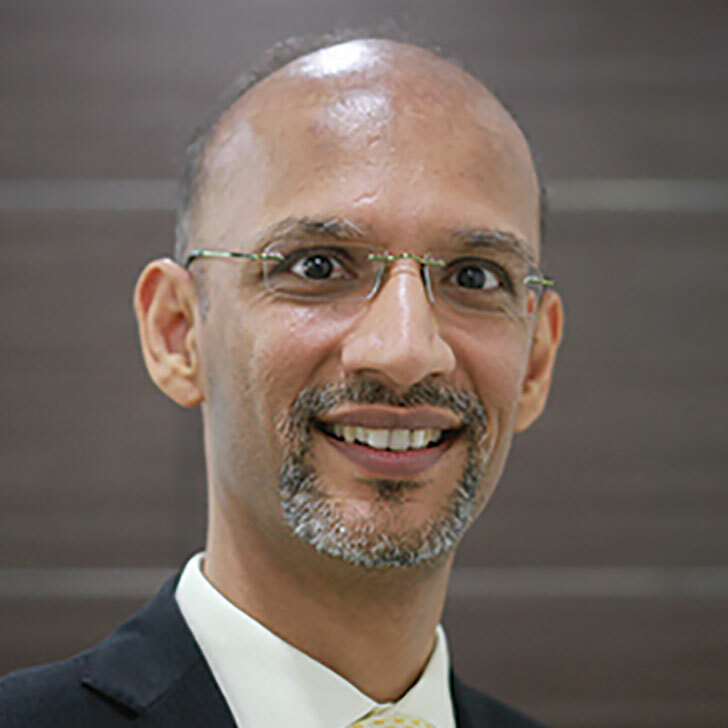 Mahesh Yanambakkam holds a Bachelor in Engineering, a Masters in Business Administration and a Leadership qualification from a prestigious business school in the United Kingdom. He has a wide range of experience in the UK International Higher Education Sector and has been working in this industry for over 16 years in different roles. In his previous roles, he has received honorariums on two occasions from the Vice-Chancellor for his contribution made to the University. Having travelled extensively, he has a deeper understanding of various cultures, business processes and practices across the globe. 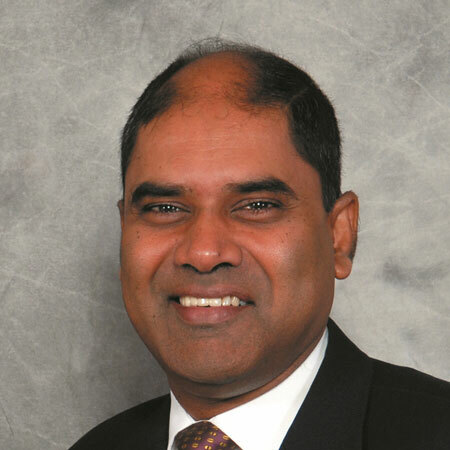 Mr Yanambakkam is also the Chair of School Governor at Foxborough Primary School, Langley & a Co-opted Governor at the TLC Nursery Federation (Chalvey Nursery School & Slough Centre Nursery School). He has been voluntarily supporting multiple social causes through direct/indirect involvement with social concerns. Hemalatha Yuvaraj is the career counsellor and IB MYP Personal Projects Head at Oakridge International School, Bengaluru Campus. She is also MYP Physics and MYP Personal project examiner, IB. She has completed MSc Electronics with specialization in Embedded Systems, VLSI and Nanotechnology from Mount Carmel College (Autonomous) Bengaluru. She has completed the Cambridge International Diploma for Teachers and trainers from ITARI, B.Ed., and M.A. Educational Leadership and Management from Christ University, Bengaluru. Her philosophy as a Career Counselor encompasses developing relationships with students, advocate students' success, and collaborating with parents. She has a strong interest in students' success and believes that all of them can learn and be successful. She also believes in providing students with practical and personalized counselling to support and challenge them to achieve their educational, career and personal goals. 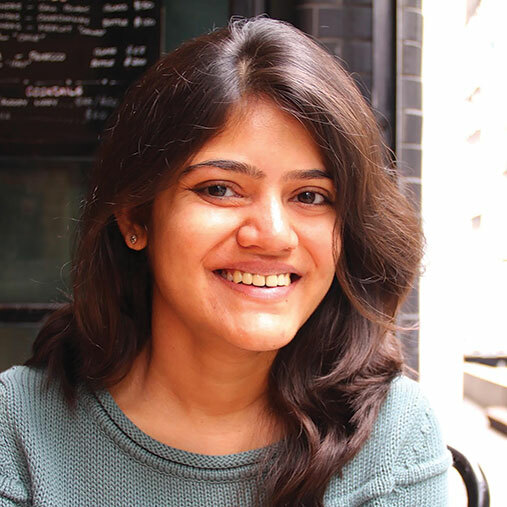 Sheena’s roots originate from India but she was born in Manchester in the U.K.
With a Master’s in Psychology, understanding and reaching out to students is Amrita Ghulati’s passion. As Head of the Career Counselling Centre at The Shri Ram School, she has worked out and put down policies and systems that impact all the stakeholders involved in this crucial stage of planning and preparation for high school students. Amrita enjoys exploring opportunities and making choices along with the students, for their future course of study. Having the background of being a teacher and the experience of setting up a career counselling center at the school, it is the close interaction and collaboration with different stakeholders that Amrita find truly engaging and demanding. Asma Ansari has an experience of nearly 25 years in the educational field, with a long experience of teaching economics to senior students. She has planned and implemented the setting up of the CIE Centre, then became Dean CIE (Cambridge International Examinations). She has the experience of handling the Career Counseling unit of The Daly College, responsible for students’ appearance in competitive exams at national and international levels, and assists the students in the process of submitting applications and admissions. She has conducted many workshops in economics, coordinated university visits, and has been Head Examiner of CBSE examinations for several years. 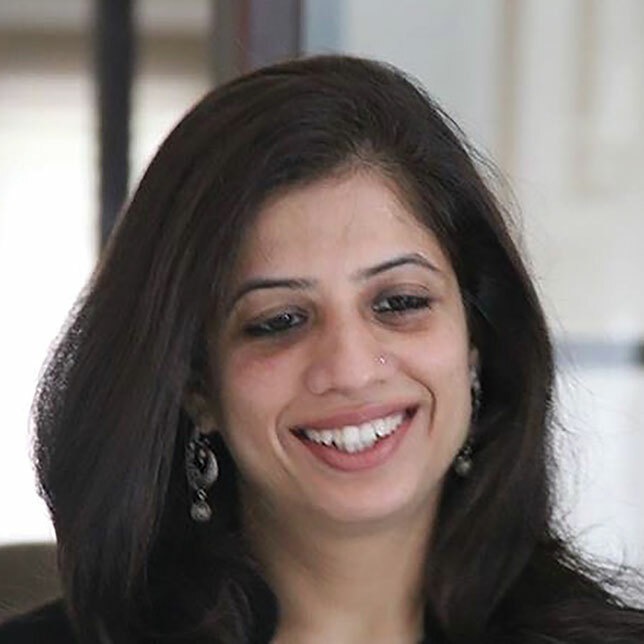 As the Schools Counsellor/Incharge Career Counselling, she has visited universities in Canada, the U.K., and the U.S.
Tanushree Bhattacharya is a Senior Recruiter and Advisor with the International Student Initiative Office at the University of British Columbia. The International Student Recruitment Office is responsible for recruiting outstanding international students from around the world for various undergraduate programs at UBC. 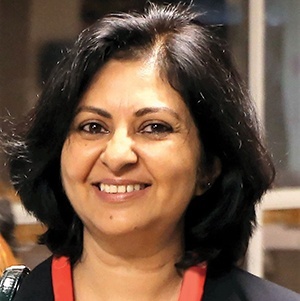 While at the International Student Initiative office at UBC, Ms. Bhattacharya has largely focused her efforts and expertise on recruitment activities and initiatives in India. With 17 years of experience in the education sector, she has a good understanding of the education systems as well as the unique needs and motivations of students in the region. 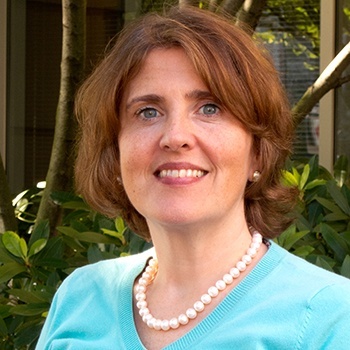 Deblina has a diverse experience of 22 years in K12 education, English Language Teaching and in the development and analysis of scholastic assessment reports for performance improvement of students. At Pathways School Noida, an international school offering the IB Program, she is pursuing her passion of connecting students to their futures in her role as the Career and College Guidance Counsellor. Her expertise lies in working with families to help them to foresee an unfamiliar world of the future and make informed decisions. Her professional interests include the investigation of what constitutes quality education, student values and attitudes and aspects about school leadership, teacher beliefs and classroom climate. Anne Corriveau is the Director of International Admissions at Boston University. During her 20-year tenure at BU, she has worked with one of the largest international student populations in the United States, with students representing more than 100 countries. Boston University (BU) is a private teaching and research university ranked #39 by U.S. News & World Report Best Global Universities. 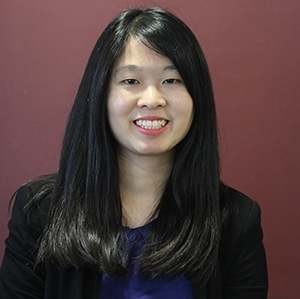 While her primary responsibilities include managing the recruitment and selection of First-Year students at Boston University, her role also encompasses the initial immigration process for First-Year students. Her recruitment travels have taken her around the world, with a special focus on India where she has been traveling annually for more than 20 years. After earning a B.A. 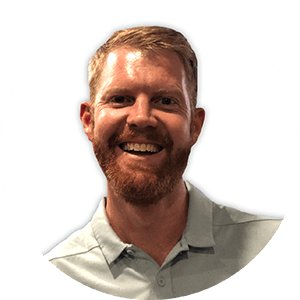 in History from the University of Toronto Joshua pursued post-graduate studies in journalism leading to a 5-year career with premier Canadian broadcasters CBC and TSN. As a passionate traveler, 2015 saw Joshua return to his alma mater to fulfill a role in International Recruitment. In this capacity, Joshua has worked to assist the U of T achieve its recruitment goals in Southeast Asia, the United States. Persian Gulf, and most recently in India. This experience has provided him with an expansive knowledge of the global university admissions landscape and a great appreciation for the unique academic and cultural character international students bring to any university. 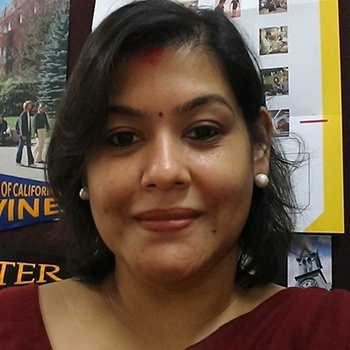 Soma Dam is the College Guidance Counsellor at Suncity School Gurugram. Apart from looking after the college counseling cell, she also teaches Sociology to Grades 11 and 12 and handles all academic issues pertaining to grade 12 as grade coordinator. Soma has a M.Phil in Sociology and has qualified her National Eligibility Test for college lecturership. She has also done completed the Global Career Counsellor Certification programme. Currently she is pursuing a three-month online programme called the International Certified Career Coach Programme curated by Mindler in association with Career Development Alliance (USA). She is also a member of the International Association for College Admission Counselling. Her dream is to enable students to live their passion. Shiladitya Ghosh is the Director-Principal at NH Goel World School, Raipur, India. In his last assignment, he was the Director of Curriculum and Training at the Shiv Nadar Foundation. Mr. Ghosh specializes in making classrooms more interactive, using a variety of methods useful for every type of learner. Additionally, he has expertise in Social Science and has a knack for making the subject relevant to all. Previously, he was the Vice Principal at the Shri Ram School, Gurgaon. 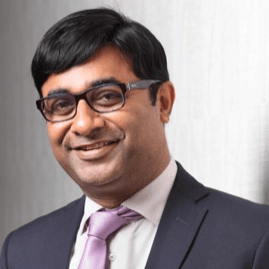 Mr. Ghosh has also worked as a Regional Manager for XSEED Education Pvt. Ltd., to make the teaching and learning process meaningful for every teacher and learner. 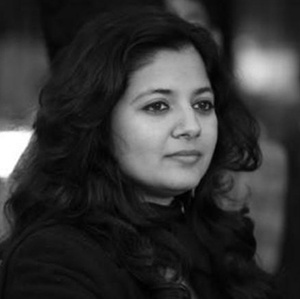 Shilpa Gupta has been associated with Neerja Modi School since 2004. 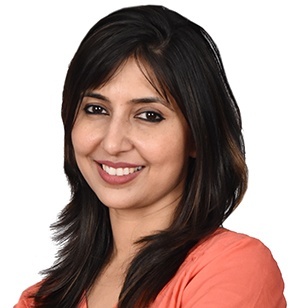 After working several years as a Math teacher for IBHL-Math, IGCSE & A level – Math and CBSE high school Math from 2004-2014, Shilpa began her career in college admissions counseling by setting up a counseling office at Neerja Modi School in Jaipur in 2015. She was also designated as the Vice Principal of the school in 2014. She is also in charge of the Math and Science curriculum of middle school and high school. 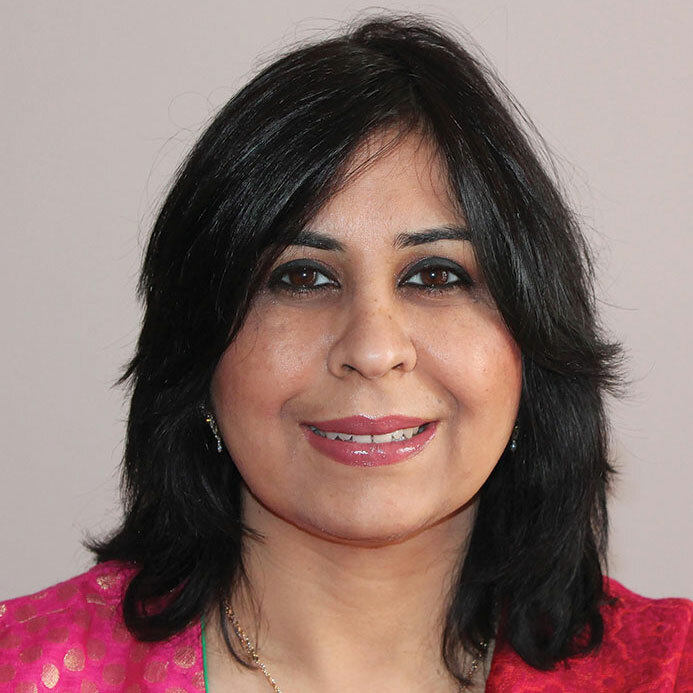 Ravinder Kaur is an IB trained teacher with 14 years of experience in teaching students aged 12-17 years at Mahatma Gandhi International School (MGIS), India. Her expertise involves charting out interdisciplinary projects that addresses the skill based active pedagogy. Recently Knowledge Resource Development and Welfare Group have awarded her for “Innovation in Pedagogy.” She is actively involved with Educational and Cultural Exchange programmes with schools in Australia and France. Ravinder initiated and designed many community projects successfully. Over the years, she has been actively involved in developing the curriculum, planning, implementing, integrating, moderating and training the team for the successful furthering of the IB Program. She is a master trainer for “GRL” pedagogy and has trained over 5000 teachers across country. Ravinder is also an IB examiner. 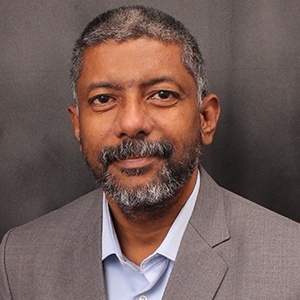 Dr. Khare is an academician, corporate trainer, CEO coach, advisory board member and a management consultant with over 22 years of experience spanning consulting, social entrepreneurship, corporate life, and academia in India, the U.S. and U.A.E. He earned his Ph.D. from Fisher College of Business at the Ohio State University, U.S. and taught there. He has advised leading corporates and presented his research at the most prestigious international conferences. Currently, he is the Dean of Jagran Lakecity Business School (JLBS). He also serves on the mentor panel of IIM Kolkata Innovation Park and on the advisory boards of U.S.-based start-up and an India NGO—Muskaan Dreams, which is dedicated digitalizing poor and rural government schools. 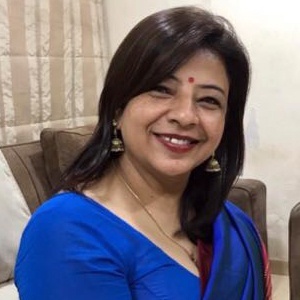 Ms. Hansa Sachdeva (Director, Office of Admissions and Financial Aid, Ahmedabad University, India) As Director - Office of Admissions & Financial Aid, Ahmedabad University, Hansa is a business leader focused on innovation in education. Earlier, she has spearheaded Business Development, customer experience & MarCom in the internet media, consulting and education domains – at HT Media’s Bridge School of Management, with HeadHonchos.com, the job search portal of ABC Consultants, and as an entrepreneur. Hansa’s early career was at the Times of India group and at Public Relations consultancy, Good Relations India. Hansa holds a BA (Economics) Honours degree from St. Stephen's College, Delhi University and is an MBA, Faculty of Management Studies, Delhi University. As an undergraduate and dual Master's degree student, Joe Tavares studied at six universities in five countries. It's fitting that today Joe advises high school students from around the world who seek to do the same thing he did – to learn, grow, and form life-long friendships within university settings outside of their home country. 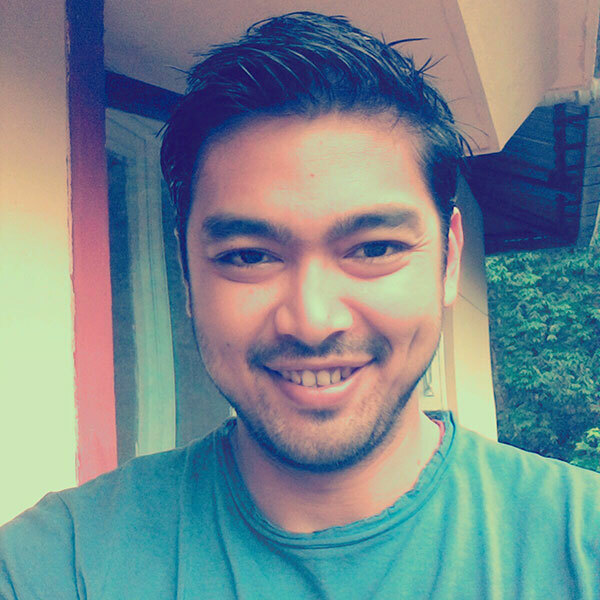 Joe is currently a high school counselor at Jakarta Intercultural School (JIS), the largest private school in Indonesia. 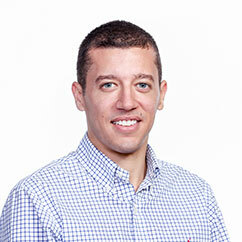 Prior to JIS, he worked as a high school counselor in Egypt and Brazil. Before working in a school setting, Joe published a college guidebook – the first of its kind – for students who would be first in their family to go to college. Supporting the higher education aspirations of traditionally underserved students is a personal and professional passion of Joe's, and each summer he volunteers with U.S.-based college access organization College Summit to boost the college enrollment of high school students in low-income districts. In July 2017, Joe began a 3-year term of service on the Executive Board of International ACAC, and he currently serves as the organization's Chair of Inclusion, Access, and Success. In his free time, Joe enjoys running and playing basketball. Audrey Teo is the Interim Manager of International Student Recruitment and Partnerships at the College of Engineering and Computer Science within The Australian National University. 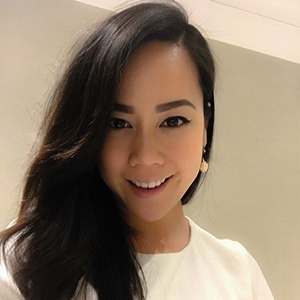 With more than five years of experience in the higher education sector, Audrey has worked extensively in international markets specializing in Southeast Asia and subcontinents. Audrey’s professional expertise expands across digital communications, student recruitment, admissions and academic policy assurance. Arvind Vepa has extensive experience in international student recruitment, enrolment and marketing. He is presently a member of the UCL Student Recruitment Marketing team. His market responsibilities include South Asia, Hong Kong and Taiwan. Interests include listening to western and Indian classical music; and following cricket and tennis closely. 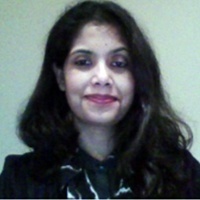 Shikha has nine years of experience in the field of socio-emotional counseling & college guidance. As a Counselor, she got the opportunity to review plethora of college applications and essays. She got to advise students on all aspects of applications through admissions for UBerkeley, NYU, Boston University, University of British Columbia, University of Chicago, University of Pennsylvania, University of Cambridge, King’s College and Imperial College London, University of Waterloo, NUS and University of Hong Kong. She is a member of International ACAC and has been trained on several aspects of admission counseling by international agencies and has done a course on U.S. admissions by University of Pennsylvania. Anne Corriveau is the Director of International Admissions at Boston University. 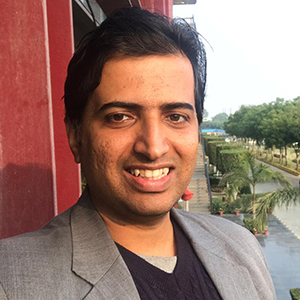 Dr. Pavak Vyas is Head of Admissions and Outreach at Anant National University, India’s first design university, and Assistant Professor of Finance. At AnantU, Dr. Vyas focuses on university admissions and outreach strategies, as well as building strong relationships to enroll academically bright students from India and abroad. Dr. Vyas has over 18 years of experience in admissions and teaching at the undergraduate, postgraduate and executive level. 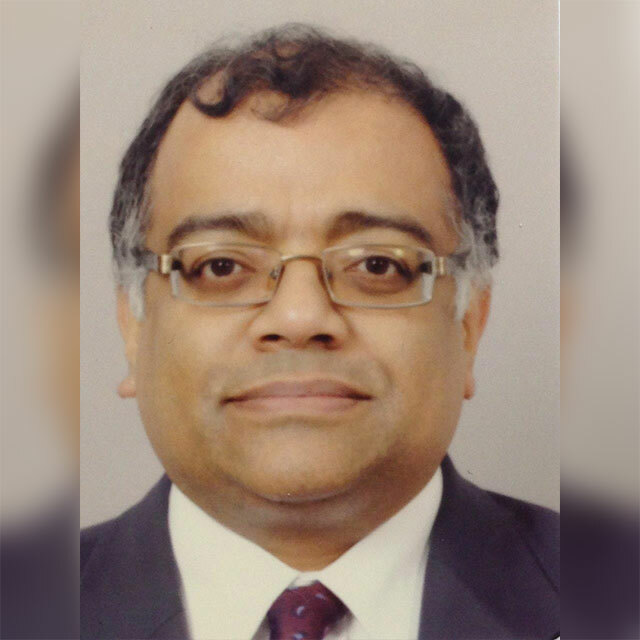 He did a fellowship at Judge Business School in Cambridge, U.K. and FDP from IIM, Kozhikode. Additionally, Dr. Vyas has several publications to his credit and has presented at various conferences in India and abroad. 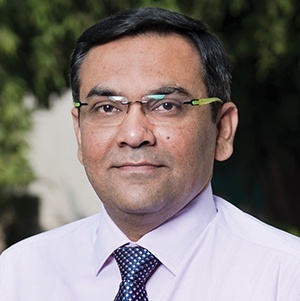 Prior to joining AnantU, Dr. Vyas was Chair of the Office of Admissions and Financial Aid at Ahmedabad University and was awarded the Faculty Excellence Award twice, in 2010 and 2012. Sameer is a natural leader, a collaborator and an educator with 15 years of school experience and five years of entrepreneurial experience, ranging from teaching across all levels of school, integrating pedagogical innovations in curricula, creating favorable environments for the students and faculty members, fostering partnerships with educational organizations and communities, administration, supervising staff and resource management. He has travelled to over 10 countries and firmly believes that travel is the best form of education. He has designed experiential education programs for children around the world with prestigious organizations like Johnson Space Center, Kennedy Space Center, CERN, McAfee and Intel, to name a few. He has also worked with National Geographic Channel as a project lead in India for the school program, UNLOCK HOUR. 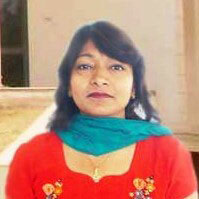 Devyani Bhatnagar currently works as a student counselor at Sanskar School Jaipur. She guides and helps students, both in the IB program as well and CBSE, in selecting and applying to appropriate universities in the U.S., U.K., Australia and India. She is dedicated to helping students in their overall development, based on their aptitude and interests. Devyani is constantly attending trainings and seminars to upgrade her knowledge and skills in guiding students. 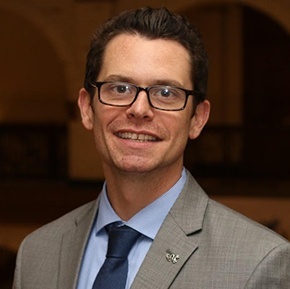 Chris Flores is currently the Associate Dean of Admission and Director of International Recruitment and Transfer Admission at Hamilton College. At Hamilton, he coordinates international recruitment and serves on the leadership team in the office of admissions. Prior to Hamilton, Chris worked at Stony Brook University in Long Island, New York. He has been working in admissions since 2011. He currently serves on the International ACAC Inclusion, Access, and Success Committee. Anthony Culver, Marketing Manager at Fraser International College relies upon his personal and professional experiences to support students from south Asia, the Middle East, and Turkey in their pursuit of higher education. Having studied in Makerere University, Uganda while completing a Bachelors in Political Science from Simon Fraser University, he is familiar with the rewards and difficulties of studying abroad. 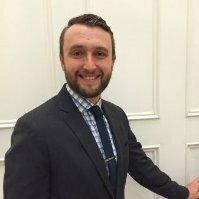 Anthony has held multiple positions coordinating youth leadership programs, consulting for NGOs, and advising new students in British Columbia, Canada. Anthony is passionate about enabling others to shine by providing them the platform, the information, and the encouragement to achieve their goals. Inter-disciplinarity, internationalism and “Education without Prejudice” are values I adhere to strictly. I am an IB graduate from Mahindra United World College of India, and completed my higher studies in Jacobs University Bremen and University Bremen (Germany) in Marine Geosciences and Climate Research. After traveling extensively around the world, I was keen to give back to the communities that have structured my holistic growth – hence, my interest in teaching Geography and Environmental Sciences at my alma mater, AVS. I am also working as a Guidance Counselor and am an ardent enthusiast of Theater and Dramatics, which I lead in school. Olivia Ireland is an Admission Counselor at her alma mater, Denison University. In her role, Olivia oversees a recruitment territory and manages admission events and student employees. Olivia's passion for international recruitment, and the IC3 movement, grew following her recent recruitment trip to China. Former Director of Admissions at University of Wisconsin-Superior and Vice President & Dean of Student Development and Enrollment at Northland College, NACAC Past President (2009-12) and Board of Directors NACAC (2005-08), U.S.
Jim Miller has 40 years of work experience in higher education, serving as the chief enrollment and student development officer at both public and private colleges. 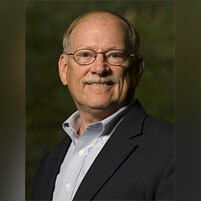 His consulting has included interim work with colleges across the country. During his term as president of the National Association for College Admission Counseling, he led the efforts to create the NACAC Commission on International Student Recruitment. Jim is passionate about the ability of college counseling to expand access and enable students across the globe to find their pathway to personal success and public service. 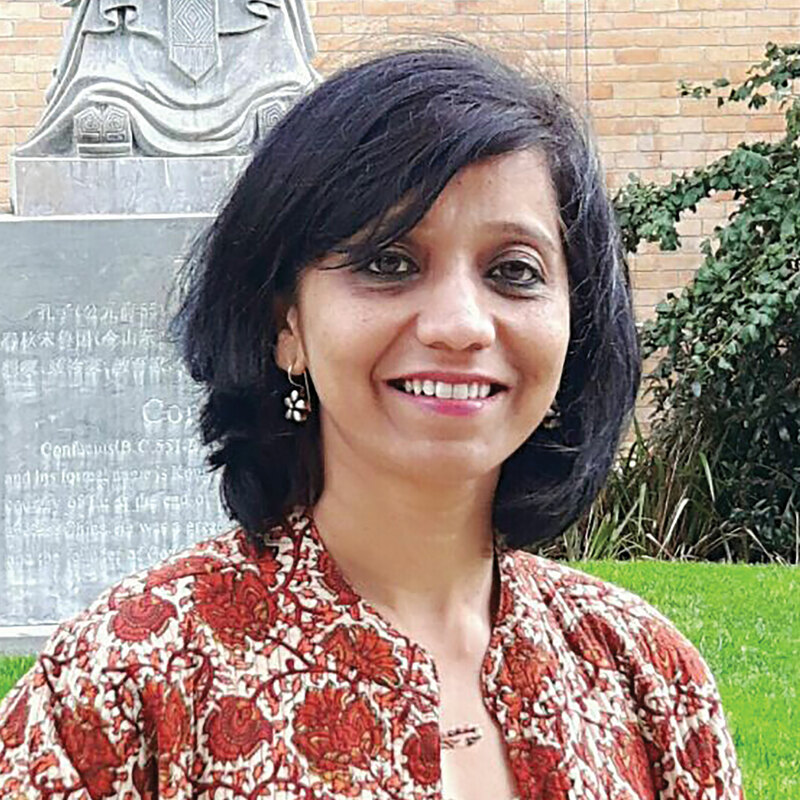 Smriti Singh has two decades of experience with the student community, focusing and channeling student aspirations to help them realize their dreams. In 2000, Ms. Singh began working with young students and teaching all levels from kindergarten to senior year through postgraduate. Guidance and effective career counseling has always been part of her teaching style. 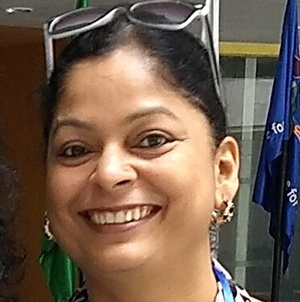 As a Study Abroad Coordinator and Career Counselor at City Montessori School (CMS), the challenge to mobilize and capitalize the huge number of students with resources is Ms. Singh’s focus. She has worked rigorously to build a team and infuse the system with sessions, assemblies, seminars, workshops and outreach for students to facilitate the process of counseling at CMS. 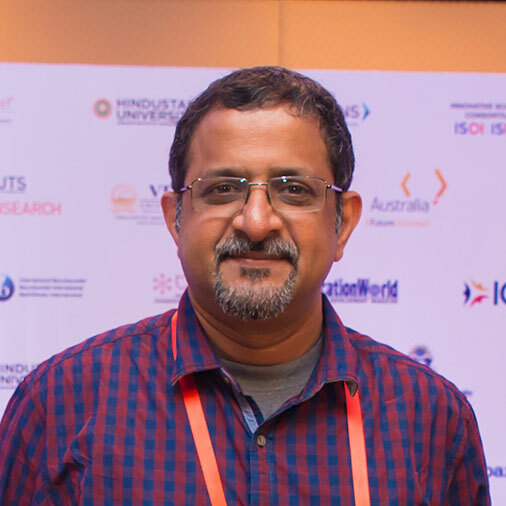 Head of school since 2008, S. Bhavanishankar teaches courses in Biology, Biotechnology, Psychology and Theory of Knowledge for senior school students, and also offers career related academic counseling. 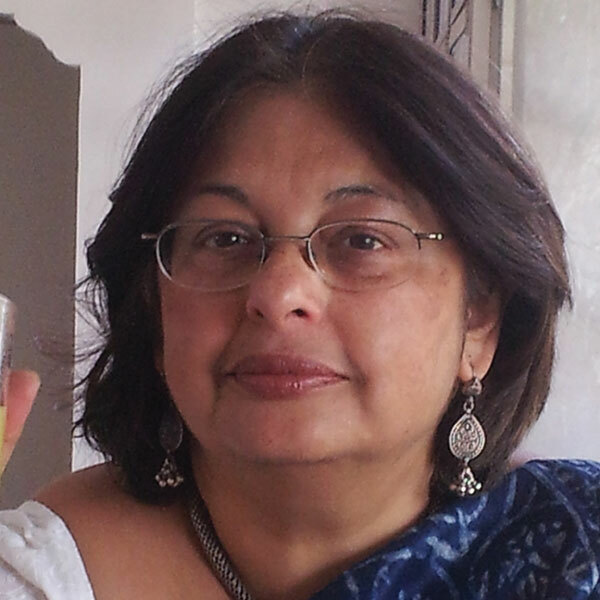 Pragati Pandey, recipient of the 2018 IC3 Counsellor of the Year Award, has been with the Aga Khan Academy, Hyderabad for more than six years, with Aga Khan Schools for more than 15 years, and has been in counselling and admissions since 1997. 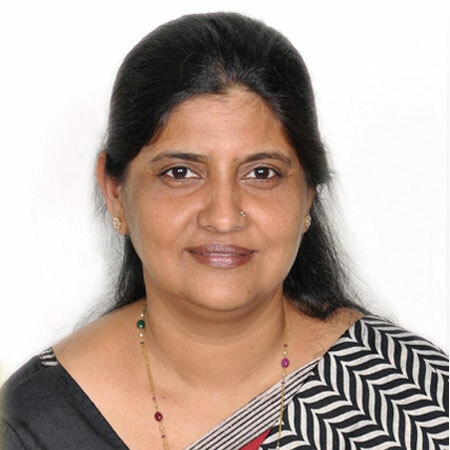 She has worked with National Council of Educational Research and Training (NCERT), the Institute of Psychological and Educational Measurement, three different schools in India and one school in Tanzania. She has presented at various prestigious conferences, namely the IB Asia Pacific, CIS EARCOS and the IC3. She has also been a guest faculty at the IC3 Institute. 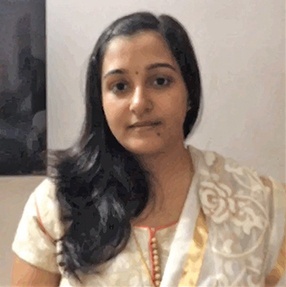 Pragati’s professional philosophy is to help students not only to find the best fit university, but also find passion in whatever profession they follow in life and she has a special passion for placing students from diverse financial and socio-economic backgrounds with a high need for financial aid. She is a gold medallist, with a Master’s degree in Psychology and a post-graduate diploma in guidance and counselling from NCERT. Olivia Ireland is an Admission Counselor at her alma mater, Denison University.